As part of my Unique Brand of Personal Service, it is my desire to share current real estate issues that will help to make you a more successful and profitable buyer or seller. It’s been a wild couple of weeks in local residential real estate. The spring buying season is in full swing, but unfortunately for buyers…there just aren’t a lot of homes for sale. This isn’t just a local problem, as the sale of existing homes nationally fell 4.9% in March even with the low interest rates and booming job market and economy. On the other hand, home appreciation locally is good,with the average price increase greater than 3 percent and the median price increase greater than 5 percent, based on year-over-year numbers. When you compare that to the price increases nationally you can begin to understand that the Colorado Springs housing market is performing considerably better. Colorado Springs is ranked #28 out of 178 Metropolitan Statistical Areas in terms of appreciation. Our relative strength is one good reason to be looking to buy-- either to sell and trade up or for first time or investment purposes. And herein lies the problem. The shortage of listings is making home purchases tougher than usual. There are homes available, but you may not get your first or sometimes even second choice. You have to be vigilant in your search and jump right in when you find what you are looking for. There’s no time to waste in making an offer, so you have to do your homework beforehand to know what you want, need and can afford. Let me tell you about the last eight days in my residential real estate life. I’ve had a number of folks looking to buy, both for primary homes and for investment property. The shortage of listings has made it very difficult. I had five deals in which offers were extended. Two were for sellers and three for buyers. ALL five escalated into bidding wars with price offers at over listing price! Most of these were on the first day of listing. And all were in the $300-350K range. In several instances I advised my sellers to walk away. As someone who’s seen it all in my 47 years selling local real estate, I am aware when a good deal becomes not so good in terms of how it will affect my client in the future. They may win the battle (bid accepted) but lose the war in terms of what the home is actually worth. Not all realtors have been around for as many cycles—up and down—that I’ve seen. A seasoned realtor will know when it’s in the best interest of their client to walk away. As much as someone may want a certain home, it’s often better to take the extra cash and fix up another one rather than overpaying. I’ve also been fielding cold calls from individuals looking for homes to rent. A number of these folks either can’t afford or can’t qualify to buy at present. Unfortunately, there just aren’t many rentals to be had. That’s one of the reasons why I’ve had a number of clients looking to buy investment properties—as many as I can find! They are not getting any cheaper to buy, and again, there just aren’t many homes for sale, period. If you’ve been considering a move, NOW is the time. You obviously need to know where you might be going next since homes are selling so fast, but you will likely get top dollar for your present home, which will help with the down payment on the new one. And with interest rates still historically low, it’s a win-win. There are a number of things to consider depending on whether it’s a first-time purchase, a sale to trade up or if you are looking for a real estate investment. Lucky for you—you’ve got me. With my 47 years of experience and prior investment banking background, I can help you decide the right way to go for your individual situation. I’ve seen it all and I know the ins and outs of writing an offer that at least stands the chance of a second look. If you, a family member or co-worker are ready to start thinking about making a move…I’m willing and ready to help. Simply give me a call at 593.1000 or email me at Harry@HarrySalzman.com and let’s get the ball rolling. In the U.S. News & World Report’s recent “Best Place to Live”, Colorado Springs was ranked third, just behind Denver and Austin, TX. We traded places with Denver this year, but since both are Colorado cities in close proximity, it’s a win for both cities. A booming economy and hot real estate market that has helped create Colorado Springs as one of the nation’s most desirable cities has a downside, too. The local cost of living is significantly higher than it was, as measured by several benchmarks, and is either equal to or somewhat greater than the national average for the first time since the late 1999’s and it continues to climb. The cost of living in the Springs grew 7.1 between 2016 and 2017, more than twice as fast as the national average, ranking the city as the ninth-fastest growth among the 50 largest metropolitan areas. Local costs increased even faster the following year at 19.5 percent, or 2 percentage points above the national average, ranking 14th. This year, however, the cost of living has slowed, rising only 8.3 percent, or slightly more than half as fast as the national average of 14.1 percent and ranking 41st. The Council on Community and Economic Research calculated that the cost of living in the Springs last year was 1.2 percent below the national average, while the U.S. Bureau of Economic Analysis listed the local cost of living in 2016--the most recent data available—at 0.6 percent below the national average. There are a number of factors at work. Colorado Springs has been ranked so high in various surveys such as “Best Place to Live”, “Best Place for Small Business”, “Most Beautiful City” and so many more. These surveys along with the diligent work of our Mayor John Suthers and the City Council have convinced more companies to relocate here and with them come lots of folks looking to buy homes and contribute to our local economy. Rising home prices are a byproduct of living in a desirable area, according to Bert Sperling, founder and CEO of Sperling’s Best Places, which ranks cities and towns by a variety of criteria. Colorado Springs was ranked last year as the nation’s most desirable place to live by U.S. News & World Report. According to Dirk Draper, CEO of the Colorado Springs Chamber & EDC, a rising cost of living hasn’t yet made it too difficult for Colorado Springs employers to attract workers to fill openings, even low-wage entry-level positions. However, the Chamber targets is economic development efforts at attracting employers who pay significantly more than the county’s average annual wage of nearly $50,000—last year helping to bring in more then 1,500 jobs paying an average annual wage of more than $62,000. 2019 ECONOMIC FORECAST…PROSPECTS FOR A RECESSION? I just received this report from Summit Economics and wanted to share it with you on a timely basis. They have been providing an annual forecast twice a year for almost ten years and their research helps individuals, organizations and communities to create futures that are more likely to sustain economic growth and wellbeing—even with fundamentals that they cannot control. There is extensive data on Colorado that I believe might interest you and you can click here to get the full 19-page report. If you have any questions, please give me a holler. Your home can be featured here. Homes are selling so quickly that I’m all out of listings. If you’re ready to sell, I’m ready to sell it for you. Give me a call today. 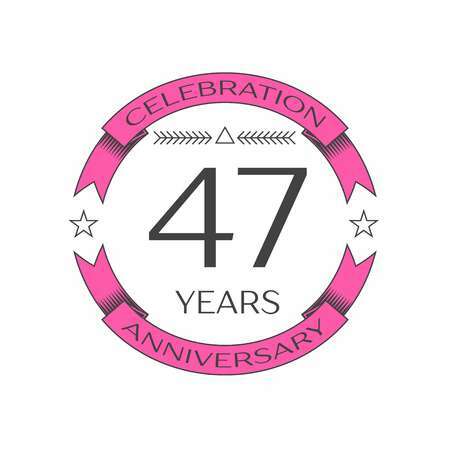 It’s hard to believe that this month I’m celebrating my 47th year in the Colorado Springs Residential real estate arena. It seems like yesterday that I transitioned from Investment Banking in Denver, made Colorado Springs my home, and started selling residential real estate. During those years I’ve met so many folks and had the pleasure of helping them realize all of their residential real estate dreams. I’ve done it all—from land acquisition, new home sales, existing home sales and investment properties and all the while watching Colorado Springs grow to be the thriving city that we live in today. I for one am not surprised that our city continually makes all the top 10 lists when it comes to Best Place to Live, Best Place for Small Business, Hottest real estate Market, and so much more. This is my home, too, and I enjoy relocating folks here from all parts of the globe. My career has also afforded me the opportunity to give back by participating on local government and Pikes Peak Association of Realtors (PPAR) committees, as well as serving the for-profit and non-profit community as a board member and in other capacities. My recent two and a half year involvement in Plan COS resulted in a 20-year growth plan for Colorado Springs. As a founding sponsor of the UCCS College of Business Economic Forum, I’ve seen it grow over the last 22 years into an exceptional resource for local business and organizations. I’ve also had the pleasure of being a charter member of the RDC (relocation Directors Council), a national relocation organization, as well as having served as chairman. Most importantly, though, I could not have done any of it without your confidence and trust in allowing me to help facilitate what for many is their biggest financial asset. I recognize every client has needs, wants and budget requirements specific to them and I work diligently to put my special brand of customer service to task in helping find the right fit for each individual situation. An extra special part of having been in business for so many years is seeing children and grandchildren of my clients grow up and having them contact me when they are ready for their first home purchase. It means a lot that these family members remember me and want me to assist them too. This has been such a great ride…and I’m not relinquishing the driver’s seat because I’ve still got a lot more miles left in me! In today’s home market it’s more essential than ever to have a seasoned professional on your side. One that knows the ins and outs of not only finding the right property but one that can negotiate an offer that has a good chance of getting accepted. And that’s no easy feat in a climate of multiple offers and fewer listings, as well as over list price offers. I like to think that besides being “The real estate Therapist”I also have the “Power of Credibility”on my side. I’ve been told time and again by clients that they know I make their personal goals mine. I’m on their side and as most of you are aware, I like to be on the winning side. I know how to get things done, but also know when to advise my clients to walk away when it’s in their best interest to do so. Here are some highlights from the March 2019 PPAR report. Just a reminder that the PPAR report is in a new format and no longer provides a look at the monthly stats for each neighborhood. However, if you are interested in what’s happening in your individual neighborhood, I can provide it to you through other means. Please click here to view the detailed 9-page report, including charts. If you have any questions about the report or to find out how it relates to your individual situation, just give me a call. At the start of each year I look into my “crystal ball”and try to determine what I believe will be a true picture of home appreciation for that year. In January 2019 my prediction was for the local home market to show an appreciation of 5 ¾ - 6 ¾ % this year. I believe we are on track for that. Spring buying has started off slowly due to the inclement weather we’ve had but I believe it will pick up and those who are looking to move and trade up will have plenty of takers for their present home. The days of multiple offers, many accepted almost immediately after listing, are still here and it’s making things difficult—especially for first time buyers. It is important to know where you want to live next because if you list your present home it will likely sell much faster than you might imagine. There are still homes available in most price ranges, but they go fast, so having me on your side can give you an advantage. If a newly constructed home is in your future, I can assist here, too. I’m familiar with most of the new construction in the city and can help you with site and plan selection as well as helping you find the best financing for your individual needs. And—did I mention that I provide it all at no additional cost to you? Providing greater detail than the above report, this provides information on both Colorado Springs and Teller counties for residential real estate. It is broken down by geographical areas and you can look to see how your geographic area is doing in terms of sales, prices, and more. You can click here to read the 16-page Monthly Indicators or click here to get specific information on the geographic area of your choice from the 18-page Local Market Update. I recommend that you check out your own area or one that you are considering, to get a good idea of the local pulse. Buying a home became a lot cheaper, thanks mostly to the Federal Reserve decision several weeks ago to put its interest rate hikes on hold for now, and possibly for the rest of the year. After their announcement, Freddie Mac reported that the average 30-year fixed rate mortgage fell to 4.06 % from 4.28% the previous week. That was the steepest weekly drop in a decade! Lower rates, slowing home price increases and a slight increase in available homes appear to be a boon to home sales after a slight slowdown nationally last year. Potential buyers are rushing to take advantage of rates that they had doubts they would ever see again. Cheaper borrowing costs can make a big difference in what folks can afford, and it can make it easier for buyers to qualify for loans. Economists expect sales will continue to improve this year, especially due to the steady job market and pay growth, both of which make a home purchase more affordable. Also, in the U.S., sales of previously owned homes posted their largest monthly gain since 2015 in February—a sign that lower mortgage rates and more attractive prices are helping to lure buyers back to the market. Existing homes sales nationally rose 11.8% in February from the prior month—the second-strongest monthly gain in homes sales ever. However, with sales volume 1.8% less than it was a year ago, the market is recovering, but at a slower pace than in 2017 and early 2018. Locally, the cheaper cost of borrowing is a definite plus, but we still have a pretty tight market and most listed homes are selling swiftly. Hopefully we will see more listings this spring buying season and that will help those who are currently wanting to purchase a home. Sellers are often faced with the difficult questions of “When should I list my home for sale?” Each season has its pros and cons. The winter months are slower, therefore less inventory competition. The spring market, however, has buyers coming out in full force. Based on several factors—including trends in median listing prices, property views on realtor.com, home price drops, median days on the market and the number of listings on the market in the last three years—realtor.com determined in a new report that the best time to sell, on average, is the first week of April. Why? Competition is still low, but buyers are out in droves, snapping up homes and driving up home values. While June is considered the peak of home-buying season, realtor.com’s report found that the first week of April is best for sellers looking to maximize list price, and also reduce the risk of price cuts and competition from other sellers, according to Danielle Hale, chief economist for realtor.com. “Given the time it takes from listing to close, putting a home on the market in early April positions sellers to attract buyers seeking to close and move before the beginning of school year,” she said. The inclement weather locally has kept the spring buying season from starting quite as early this year, but a word to the wise…it’s going to pick up…especially with favorable mortgage loan rates, therefore the “early bird gets the worm” so to speak. When listing your house for sale, your top goal will be to the get house sold for the best price possible. There are many small projects you can do to ensure this happens. Your real estate agent (me!) will have a list of specific suggestions for getting your house ready for market and is a great resource for finding local contractors and others who can help. In a recent NAR “2019 Profile of Home Staging” report, 83 percent of buyers’ agents agree that staging your home makes it easier for homebuyers to see themselves living in it. Also, according to the report, more than half of sellers say that staging your home will decrease the amount of time your home stays on the market. If you have any questions about staging your home, please give me a call. I’ve had considerable experience with this and can get you to the professional staging folks who are best suited for your situation. As always, I like to share with you the updated reports I receive due to my sponsorship of the UCCS Economic Forum. These reports show in graphic form the “Big Picture” of the U.S. in general as well as the local outlook. Included in the local statistics are: Local Employment/Wages and other employment factors as well as demographics of Population Growth, real estate Sales, Tourism and more. Click here to view this informative report can be seen in its entirety. If you have any questions, please give me a holler. The latest quarterly report by the National Association of Realtors put a smile on my face and I am happy to share the good news with you. While home appreciation is not moving as quickly as in the recent past, the Fourth Quarter 2018 report of Median Sales Price of Existing Single-Family Homes for Metropolitan Areas shows the U.S. average of the 178 measured statistical areas (MSAs) to be 4.0%. This is a fabulous news for our city. Lots of companies have been entering our market area and along with them come folks who are relocating and need places to live. Our inclusion in so many “top” lists, such as “Best Place to Live”, “Best Place for Small Business” and “Best Quality of Life City” all are contributing to our growth and in turn, our housing price increases. A big shout out needs to go to Mayor John Suthers and his team, as well as the Colorado Springs City Council members who are betting big on growth and following through with plans for our continued success into the future. However, good as this news may be, it also brings some challenges in local residential real estate. With prices increasing, some folks and especially those looking for starter homes, are being priced out of the market. I’m finding fewer homes for sale in the $250,000 to $300,000 range. With rental prices continuing to increase, a number of my investor clients are picking up one or more of those available homes and I suspect they will continue to do so. With interest rates still historically low, folks who have been waiting are realizing that there’s now a window of opportunity to lock in a good rate, and along with it a lower monthly payment. It’s still a great time for sellers, too. Just this past week, clients of mine have had to make offers over listing price in order to close the deal. My advice to you? There’s still time to get in on a low mortgage rate but no one knows just how long that will last. If you are looking to buy, either to trade up, move to a new neighborhood, find a starter home, or simply for investment purposes…NOW is the time. What does that tell you? Well…it tells me that if that builder is buying a home for himself, he better not be using those agents…he needs me! I pride myself in looking after my clients just as I would if I was purchasing a home for myself. After all these years, I know the “ins and outs” of what it takes to get to the closing table and also when it pays to walk away. I wouldn’t be doing my job if I was “only” a salesman. Most any agent can sell a house—but it takes my special brand of customer service to make certain that it fits the specific wants, needs and budget of my clients. That’s why I’m called The real estate Therapist. I want my clients to have a happier life and enjoying their home is a big step forward. Not only does a home represent a big part of their financial security, it also plays a role in the continued happiness of the family. At this point in my career I take pleasure in working with the children and grandchildren of former clients and nothing makes me happier than to help in their financial and personal successes. If you’re ready to make a move…I’m willing and ready to help. Simply give me a call at 593.1000 or email me at Harry@HarrySalzman.comand let’s get the ball rolling. As I mentioned in the last issue, PPAR no longer publishes the Colorado Springs local neighborhood statistics that I used to publish in the first eNewsletter of each month. They do publish Monthly Indicators for El Paso and Teller Counties as they have previously. This report provides greater detail than the first of the month reports and I will continue to provide this to you. The Local Market Update also provides information on both Colorado Springs and Teller counties for residential real estate. It is broken down by geographical areas, but no longer by specific local neighborhoods, and you can look to see how your geographic area is doing in terms of sales, prices, and more. If you want information on a specific neighborhood, simply give me a call and I will be happy to provide those statistics for you. You can click here to read the 16-page Monthly Indicators or click here to get specific information on the neighborhood of your choice from the 18-page Local Market Update. I recommend that you check out your own area or one that you are considering, to get a good idea of the local pulse. I have reprinted just one area, Woodland Park, below to show you the type of information available for all residential areas in both El Paso and Teller counties. As I mentioned earlier, borrowing costs have been cheaper recently since the mortgage rates have continue inching down. “This is great news for consumers who will be looking for homes during the upcoming spring homebuying season. Mortgage rates are essentially similar to a year ago, but today’s buyers have a larger selection of homes and more consumer bargaining power than they did the last few years,” he added. I might add that while this is basically true, please consider what I mentioned before concerning our local market. I’m still seeing bidding wars and over list price sales, mostly in the lower price ranges. The good news is that with appreciation not moving as fast as a year ago, this, mixed with lower interest rates, is making it possible for some who feared they had missed out to get another opportunity to buy. And once more…don’t wait too long. Call me soon and let’s see what I can do to help make your residential real estate dreams come true. Whoever said that “the more things change, the more they stay the same” must have certainly had Residential real estate in mind. Some things in my industry never change—such as folks looking for a starter home, wanting to sell and trade up and of course, some looking for investment properties. And then there are those that constantly change—such as home values, prices and mortgage interest rates. It’s all a piece of the bigger picture of home ownership. These last few months have seen some interesting changes. To begin with, interest rates are still historically low despite predictions from economists, and they look likely to remain this way for at least another few months or more. This is providing an unforeseen opportunity for those who thought we’d seen the last of the “low” rates. Yes, while a number of us have seen rates as high as 18% in the past, there are more and more young buyers who have only seen the historically low rates and think that 5% is outrageous! Many of them are now realizing that their window of opportunity for a “low” rate may be closing soon. Median home prices are starting to “normalize” and while increasing, they are doing so at a slower pace than in recent times. That’s actually good news for both buyers and sellers. It’s affording those who have waited to finally begin their search for a new home. The only problem I’ve been seeing is that with inventory down, particularly at the lower end of the price spectrum, there are not a lot of homes from which to choose. This is affecting everyone, particularly those looking for starter homes. My thoughts on all this? As I’ve just told you, there are some obstacles, but fortunately for you—you’ve got ME. My 46 plus years in local residential real estate is on your side. I’ve seen all types of “cycles” and can help you in making your real estate dreams a reality. We’ve caught a break with the interest rates and slower rising home prices, but…the times they keep a changing. Give me a call at 593.1000 or email me at Harry@HarrySalzman.com and let’s see how I can put my special brand of customer service to work for you, your family members or co-workers who might also be looking. Here are some highlights from the January 2019 PPAR report. A look at the Median Sales Prices will show that prices are continuing to rise, although not as much as in recent months, while sales are also continuing to slow down. You will also see that the PPAR report is in a new format and no longer provides a look at the monthly stats for each neighborhood. This just changed and I do not yet know if the report I share in the second eNewsletter of the month will provide this information or not. However, if you are interested in what’s happening in your individual neighborhood, give me a call and I can provide it to you through other means. The Federal Reserve indicated that it was done raising interest rates for now at their meeting the last week in December—good news for the home mortgage market. In an about face from their policy stance just six weeks earlier, they voted to hold their benchmark rate steady. While Fed Chairman Jerome Powell said at a news conference after the meeting that “the case for raising rates has weakened somewhat”, he declined to say whether the Fed’s next move was more likely to be an increase or a cut. This is especially good news for those who were waiting due to the higher monthly payments resulting from mortgage loan rate increases. For the present at least, rates should stay somewhat stable—a blessing for both buyers and sellers. My advice would be not to wait too long if a move is in your future. As I mentioned in the last eNewsletter, what goes down quickly can just as easily go up. A word to the wise. One of the best measures of whether an item is more expensive than it was before is what percentage of our income it takes to purchase that item today compared to earlier times. The COST of a home is determined by three major components: price, mortgage interest rates and wages. In case you are wondering if we are now paying a greater percentage of our income toward monthly mortgage payments today than in previous generations—the surprising answer is NO. Historically, Americans have paid just over 21% of their income toward their monthly mortgage payment. And while home prices are higher than in the past, the most important component in the cost equation—the mortgage interest rate—is dramatically lower than it was in the 1970’s, 1990’s and 2000’s. According to the latest NAR Home Affordability Index, today Americans are paying 17.4% of their income toward their mortgage payment, considerably lower than the 21% average paid by previous generations. Bottom Line? When you consider the still historically low interest rates, the cost of purchasing a home today is a bargain compared to previous generations on a percentage of income basis. However, as I’ve been saying for some time now, this will not always be the case. Interest rates will NOT stay this low forever and homes are continuing to appreciate. If you are looking to buy a starter home or trade up to a more expensive home, sooner rather than later makes the most sense. Give me a call today and let’s see how we can make this work for you. The Internal Revenue Service has issued final rules on the 20 percent income deduction (Sec 199A of the Tax Code) that was enacted in late 2017 as part of the Tax Cuts and Jobs Act. Thanks to advocacy and collaboration between NAR, its members and administration, the final rules reflect many changes that NAR sought to ensure the new 20 percent deduction applies as broadly as possible. And, as always, please check with your accountant and/or investment professionals when considering how this information pertains to your individual tax situation. Under earlier proposed regulations, if your income was above threshold levels set in the tax law--$157,500 for single filers, $315,000 for joint filers—and you had exchanged one property for another to defer taxes under Sec. 1031 of the tax code, the amount of the new deduction might be reduced because of the swap. NAR and other trade groups reached out to the IRS to change this treatment, and the IRS has made that change. Under the final rules, you can use the unadjusted basis of the depreciable portion of the property to claim at least a partial deduction. At last count, one generation of Americans owed $86 billion in student loan debt. Its members are all over 60 years old! The reasons are varied. Many took out loans to help pay for their children’s tuition and are still paying them off. Others are paying for their own student loans when they returned to school in wake of the last recession to boost their own employment prospects. On average, student loan borrowers in their 60’s owed $33,800 in 2017, up 44% from 2010 according to data compiled for The Wall Street Journal by credit reporting agency, TransUnion. Total student loan debt rose 161% for people aged 60 and older from 2010 to 2017—the biggest increase for any age group. Student loan debt has impacted the housing market for several reasons. The above referenced seniors are either carrying second mortgage or student loan debt that makes it difficult for them to move—either to trade up or downsize—due to credit or financial concerns. Also, the Federal Reserve recently said that student loan debt is impacting the housing decisions of young Americans too. Homeownership for adults ages 24 to 321 fell 9% from 2005 to 2014, landing at 36%, according to two recently published papers. The Fed said that while a number of factors are at play, it attributes 2 percentage points of this decline to student debt, meaning that 400,000 borrowers could have purchased a house but didn’t due to their debt. A chart from HousingWire pointed out that increased student debt heightens the likelihood of default, therefore impacting an individual’s credit score and, with a weak score it may be more difficult to obtain a mortgage. Researchers also wrote that “while investing in postsecondary education continues to yield, on average, positive and substantial returns, burdensome student loan debt levels may be lessening these benefits”. The Fed, however, declined to say that the impact of student debt on homeownership is entirely negative, rather calling it “complex”. Researchers wrote that “On the one hand, student loan payments may reduce an individual’s ability to save for a down payment or qualify for a mortgage. On the other hand, investments in higher education also, on average, result in higher earnings and lower rates of unemployment”. While this most certainly can impact the housing market in general, locally I have seen a number of recent graduates move into their first homes, some with the down payment help from family which is now acceptable by most lenders. Others have purchased homes with help from parents while still in school and have rented out rooms to other students in order to help make the mortgage payments. Both of these situations will most certainly help young homeowners to start building their own financial security rather than feathering the nest of others from whom they might pay rental payments. As always, I like to share with you the data I receive from the UCCS Economic Forum which shows you the “Big Picture” of the national economy as well as all the local metrics. I’ve been a proud supporter of the Forum since its inception and know you will find the data as interesting as I do. Please click here for the 4-page graphic depiction of the economy, and, as always, if you have any questions, please give me a holler. Recent predictions aside, and despite mortgage rates spiking in early January from the recent historic lows, mortgage rates have declined and are holding their own at present. Since early November, the 30-year fixed-rate mortgage has fallen nearly half a percentage point from 4.94 percent to 4.45 percent, where it stood at the end of last week. While it didn’t go down as it did for the six weeks prior, it held steady last week. Existing home sales got a good boost in November and when NAR’s data for December is released today it may reveal whether lower mortgage rates have escalated sales gains again. While this is great news for buyers, sellers and investors alike, it also shows that what can go down so quickly can also jump just as fast. I tell you this because those of you who have put off buying due to the rising interest rates can now have a chance to “lock in a good rate while the getting’s good”. Rates are not likely to stay this low. As you will see below, prices are continuing to rise, but at a “more normal” pace than in the past year, and that, combined with the lower interest rates, will certainly work in your favor if you are looking to sell and trade up or buy for the first time. If investment properties are what you are seeking, now is also a great time for you. The need for rental properties is increasing as a number of first-time buyers are burdened with college loan and other debt and others cannot qualify for the recent higher priced home values. As a matter of fact, I have done a price comparison to show potential investors that compares home values in Colorado Springs vs. the stock market appreciation over the past 30 years. It would be my pleasure to share this with you to help you maximize your investment dollars. As always, though, I would advise you to check with your tax advisor first to make certain that this is the right move for your personal situation. All-in-all—there’s something for everyone and all it takes is a call for me to sit down and show you how I can put my 46 plus years of local residential real estate experience to work for you. I can be reached at 593.1000 or by email at Harry@HarrySalzman.com and welcome talking to you, your co-workers, family and friends. It’s worth your time to find out how to maximize your Residential real estate investment and I’m always happy to be of help. These reports contain much greater detail than the first-of-the-month reports I share and cover ALL residential areas in the Pikes Peak Region. You can click here to read the 16-page Monthly Indicators or click here to get specific information on the neighborhood of your choice from the 34-page Local Market Update. I recommend that you check out your own neighborhood, or one that you are considering, to get a good idea of the local pulse. I have reprinted just one neighborhood, Peyton, below to show you the type of information available for all local areas. For questions about any of these reports or just to find out how I can put my special brand of customer service to work for you, please give me a call. We just concluded another record setting year in local Residential real estate, and while I anticipate this year to be more of the same, I expect it to be a bit less of a frenzy. With interest rates on the rise and home values increasing, although a bit slower than in the recent past, it should be a good market for buyers, sellers and investors. I expect the median home price increases to normalize somewhat this year, which is good for everyone. As that happens, there will be more homes for sale and more folks can sell and trade up. The higher rates and prices are making it more difficult for first-time buyers to qualify and are driving more folks to rent while saving for a down payment and paying down current debts. This creates a good opportunity for investors who want to add real estate to their portfolio. With the volatility of the stock market in recent days, the value of real estate return on investment is most definitely outpacing stocks and bonds. However, with capital gains, new tax laws and other issues pertinent to your individual situation, if you are considering an investment home please first check with your tax advisor to make certain this fits into your personal investment portfolio. If it does, please give me a call and let me see how we can make this work for you. The Colorado Springs job market is still strong, with low unemployment and a number of high paying jobs open at present. In fact, Wallhub.comrecently named our city “The Top U.S. City for Employment Growth”. Of the 182 cities surveyed in the 2019 Best Cities for Jobs”, Colorado Springs ranked considerably above average in most areas and slightly above average in housing affordability and average work and commute time. Denver ranked 13thon the list of best places to find a job and Aurora ranked 48. A number of the lower predications for housing growth and appreciation for much of the U.S. will not be the same as our local ones due to the influx of new companies to our area. There are a number of factors at work to insure a relative strong housing market locally. Millennials are finding Colorado Springs a great place to live and downtown gentrification, the job market, and relative low cost-of-living are among the reasons for this. Young people are discovering our city and making it their home once again. This was the case when I first moved here more almost 47 years ago, and I’m thrilled to see it happening all over again. Thanks to the hard work of Mayor John Suthers, the City Council and so many others, Colorado Springs is thriving, vibrant and an amazing place to call home. A new year brings with it new hopes and dreams. If Residential real estate is among your hopes and dreams, please give me a call at 593.1000 or email me at Harry@HarrySalzman.com and let me help makes those dreams come true. Since these are year-end statistics, I am providing you with both the regularly posted year-over-year monthly statistics as well as 2018 annual statistics. As you will see, the 2018 annual statistics provide a better indication of how we fared in last year, especially since the month of December, as always, is a slow real estate time due to the holidays. In December, homes are sold at 99.4% of listing price with the average days on the market at 37. The Monthly Summary shows that compared to a year ago, total active listings are up 24.8% for Single Family/Patio Homes and up 86.3% for Condo/Townhomes. New listings are down 15.2% for Single Family/Patio Homes down 12.2% for Condo/Townhomes. I’m not surprised about the fewer new listings due to the holidays and also, since mortgage rates, although still very reasonable, are the highest they’ve been in seven years and home prices are continuing to rise. Folks are realizing that it’s possible they will be priced out of buying a “trade up” home, either because of the potentially higher monthly payments or because potential buyers for their existing home may find it harder to qualify. In either case, higher rates are not going to disappear, and home prices won’t keep up the pace of 2018 but will certainly continue to rise. Here are some highlights from the December 2018 PPAR report. A look at the Median Sales Prices will show that prices are continuing to rise while sales are also continuing to slow down. Please click here to view the detailed 14-page report, including charts. If you’re shopping for a new home, it’s going to cost you more, but remember, you can likely use the increased equity in your present home to make up the difference. If you have any questions about the report or to find out how your individual situation relates to the stats, just give me a call. Simply give me a call and let’s see how I can put my special brand of customer service to work for you, your family members or co-workers who might also be looking. Below are the 2018 annual statistics. Homes sold at 100% of list price on average with a low 26 days on the market. You can click here to see the entire 11-page report. Rising home prices are sending first-time buyers to their parents or family members for help with mortgage down payments. In the 12-month period through September 2018, more than 26% of mortgage borrowers who used FHA insured loans got some assistance from a relative to make the down payment, up from 22% in 2011. The FHA, an arm of the Department of Housing and Urban Development, insures lenders against losses on the sometimes riskier loans they make. These are usually first-time buyers or those with weaker credit profiles who would have a harder time getting a conventional loan. FHA buyers can pay as little as 3.5% upfront vs. the conventional down payment requirements of up to 20%. With home prices rising along with interest rates, buying a home is more expensive than in recent years. Leading up to the mortgage crisis, many sellers provided down payment assistance to buyers to help close deals. This created even more problems when the market crashed and these practices have since been prohibited. Industry executives say that help from a family member doesn’t pose the same risk as getting help from a seller because family assistance has a “higher moral bearing on people when things turn tough in the housing market”, according to Sanjiv Das, CEO of Caliber Home Loans, something that bears out in the data that the FHA has tracked since 2011. This is a great time to buy before interest rates go up again and first-time buyers will likely need all the help they can get. If you are in a position to help a family member invest in their future, you may want to consider helping them with their down payment. This can help start them on their way to future financial success. Be sure to have them contact me when they are ready to look for their starter home so that I can also assist them. My experience in dealing with first-time buyers can be another invaluable step to insuring a brighter future for them and their family. Here are some predictions from Frank Norhaft, Chief Economist for Corelogic. Economic growth only needs to last seven more months to set the record for the longest expansion in U.S. history, based on business cycle dates going back more then 160 years! Corelogic anticipates economic growth will be about 2.4 percent during 2019, a bit slower than the 3.1 percent expected for 2018, but good enough to push the unemployment rates to about 3.4 percent. That would mark the lowest unemployment rate in 50 years. That good news leads to the next projection for 2019: higher interest rates. The Fed will continue to keep an eye on inflation while pursuing its goal of normalizing the level of interest rates. Long term yields should rise as well, nudging the 30-year fixed mortgage rates up to an average of about 5.25 percent by next December, the highest in a decade. Higher interest rates will affect housing and mortgage market activity. New listings will be kept relatively low due to those who currently have low rate mortgages and decide to stay in their homes rather than sell. Buyer demand may also slow due to the larger monthly payments than accompany higher interest rates. Corelogic forecasts price growth to slow by 1 percentage point over the next 12 months. This has been another busy December, which, in the “old days”, would be considered unusual. Today, it’s becoming the norm. I’m certain that a lot of it is due to the inevitable rise in mortgage interest rates along with the swift increase in the median home prices locally. It’s been a great time to both buy and sell, but it’s been especially great for investors because the number of renters is starting to increase again along with the rates and prices. The volatile stock market is another reason that investors are flocking to purchase homes, as their return on investment, along with monthly income, provides the security they seek. While there aren’t as many “bargains” as in the not so recent past, there are still a number of properties that are perfect for investors. If you’ve even considered real estate as an investment, give me a call and we can discuss whether or not this is a viable option for you. And, as always, be sure to talk to your tax advisor also to see what he or she has to say about this possibility. I was listening to a recent videocast the other day concerning the current state of residential real estate and was surprised at some of the things that were said. The most amazing was that 73% of all Realtors nationwide were not involved in selling real estate when the mortgage interest rates were above 5%. This translates to the fact that only 27% of us residential real estate professionals are able to understand what the current trend can mean to potential buyers,sellers and investors. I’ve been in the local real estate arena for more than 46 years and have seen 30-year fixed-rates go as high as 20% and recently as low as 2.75%. My expertise is especially important with an upward trend in rates as my negotiation skills and special brand of customer service come into play even more during these times. It’s not terribly difficult for agents to buy and sell homes in a fast-moving market, but when things slow down, as they are beginning to do, that’s when experience and expert knowledge come into play. And when it comes to experience and expertise—I’m your man! Give me a call and let’s discuss how I can put this to use for YOU. I can be reached at 593.1000 or by email at Harry@HarrySalzman.com and welcome talking to you, your co-workers, family and friends. It’s worth the to find out how to maximize your Residential real estate investment and I’m always happy to be of help. Active Listings on All Properties were up 16.8%. You can click here to read the 16-page Monthly Indicators or click here to get specific information on the neighborhood of your choice from the 34-page Local Market Update. I recommend that you check out your own neighborhood, or one that you are considering, to get a good idea of the local pulse. I have reprinted just one neighborhood, West, below to show you the type of information available for all local areas. The Federal Reserve conducts their Survey of Consumer Finances every three years and they collect data across all economic and social groups. Their latest survey data covers responses from 2013-2016. This study revealed that the median net worth of a homeowner was $231,400—a 15% increase since 2013. At the same time, the median net worth of renters decreased by 5% ($5,200 today compared to $5,500 in 2013). This indicates that the net worth of a homeowner is over 44 times greater than that of a renter. Many who see that statistic point toward how broad the range of respondents are for the Federal Reserve study since the study includes all economic and social groups and also includes all age groups. Their argument is that older respondents have a higher likelihood of being homeowners, while the homeownership rate among younger survey takers is much lower. However, a recent report from the Joint Center for Housing Studies at Harvard University focused on homeowners and renters over the age of 65. This study revealed that the difference in net worth between homeowners and renters at this age group (65+) was actually 47.5 times greater! It should come as no surprise that lifelong renters have had a difficult time accruing net worth as the latest Census Report shows that the Median Asking Rent has been climbing consistently over the last 30 years. As a homeowner, no matter your age, you put your monthly mortgage payment to work for you—not someone else—and thus are building your net worth with every payment. Potential buyers and refinancers saw a little relief in borrowing costs last week as the 30-year fixed-rate mortgage moved to its lowest average since mid-September, according to a report from Freddie Mac. What does this mean to you? Well, as buyers, sellers or investors, you now have a window of opportunity to take advantage of these still historically low rates. With the Federal Reserve increasing rates again this week, I’m guessing it won’t’ take long for rates to start back up. This is possibly the “last hurrah” for lower rates, so if you are even thinking of buying, selling or investing—don’t delay. Call me and let’s see how to make this opportunity work for you. WHERE ARE INTEREST RATES HEAD IN 2019? Since the interest rate you pay on a home mortgage has a direct impact on your monthly payment, the higher the rate, the greater the payment will be. That’s why it is important to know where rates are headed when deciding to start your home search and as I just mentioned, why NOW is the time to get serious before rates go up. Depending on the amount of the mortgage loan you secure, a half a percent (.5%) increase in interest rate can increase your monthly payment significantly. This chart takes a look at a historical view of interest rates over the last 45 years. Basically, what you need to realize is that the prediction of higher interest rates should not stop you from purchasing your dream home. As you see above, you can be thankful that you can still get a much better interest rate than your parents or others did twenty years ago, and most certainly a better rate than your grandparents did 40 years ago. It’s been a busy month and lots of positive stuff coming our way. Colorado Springs has consistently been one of the hottest housing markets in 2018 and now—in 2019 it could be ranked as Number 1 in the nation! real estate service Trulia has ranked our city as the Number 1 market poised for growth next year. That’s a great indication that prices and sales are going to continue to climb in 2019, which is great news for buyers, sellers and investors alike. The ranking was based on looking at the 100 largest housing markets and ranking them on five indicators: job growth over the past year, a tight supply of rental properties, the affordability of homes for first-time buyers, a large share of millennials who represent more potential entry-level buyers and data that indicates more people are researching moves to Colorado Springs instead of leaving here and relocating to another city. And these new residents and recently hired folks are going to need places to live—either to buy or to rent! This is all great news for local residential real estate because while our home sales numbers are leveling off, the rate of appreciation is slowing to more historically normal averages, and inventory, while still low, is increasing. We are headed into a more normal housing market and that’s good for everyone. Interest rates are higher than they’ve been in a number of years, but they are still at affordable levels and while the Fed has indicated they will raise rates again this month, they seem tentative about the pace of further increases after that. This provides a good opportunity for those who have been wanting to “trade up” or move to a new neighborhood as mortgage rates will still be reasonable. Local homebuilding is on pace for a 13-year high and this has become a viable option for many of my clients with the shortage of available homes for sale. In case you are not aware—this is an area where I can be of service to you. I’ve got long time relationships with many local builders, know the “ins and outs” of what needs to be done and can help you in making the right decisions—even in securing financing that is tailored to your needs. And as a buyer, all of this is provided by me with no additional cost to you! Investment options, which were getting scarce, are once again a possibility for those who wish to become landlords. The shortage of rental properties in general is providing a good incentive for investors. In fact, just this past week I was out with long time family clients of mine who were looking for an investment property. While we lost the first one in a bidding war, my clients ended up purchasing TWO properties! As most of you know, I put my money where my mouth is and am a true believer in rental properties, which I’ve owned for many years. So, if you are thinking those type of investments might be right for you, just give me a call and let’s get rolling. In fact, if you’ve even THOUGHT about what your possibilities in residential real estate might be—I’m your man. With more than 46 years of experience in the local real estate arena and a background in investment banking, I am doubly qualified to help you make the decisions that are right for your individual needs, wants and budget. So don’t wait—give me a call at 593.100 or email me at Harry@HarrySalzman.comand let’s make your real estate dreams come true. Homes are selling at 99.1% of listing price with the average days on the market at 33. This continues to be great news for both buyers and sellers and with homes not selling at such a frenzy but still selling quickly, it still necessitates knowing where you plan to move next prior to listing your present home. Here are some highlights from the November 2018 PPAR report. A look at the Median Sales Prices will show that prices are continuing to rise while sales are also continuing to slow down. Please click here to view the detailed 15-page report, including charts. As you will see, all areas but two had an increase in median home prices year-over-year. If you’re shopping for a new home, it’s going to cost you more, so the sooner you start the better. If you have any questions about the report or to find out how your individual situation relates to the stats, just give me a call. If you’re even considering a move and wondering how to make it happen, NOW is the time. Let me put my special brand of customer service to work for you, your family members, co-workers or friends. Give me a call today. As always, I like to share with you the information I receive from the UCCS Economic Forum as soon as I get it. It provides you with the Big Picture of the U.S. Economy as well as what’s happening in the Colorado Springs area. Once again, very positive data and definitely worth a look. To see the 32 charts, please click here. If you have any questions, please give me a call. Some interesting news is possibly in the making! In this case, let’s hope it doesn’t come to fruition. A proposal for loosening real-estate appraisal rules so a majority of homes can be bought and sold without being evaluated by a licensed human appraiser was made last month by the Office of the Comptroller of the Currency, the Federal Deposit Insurance Corp. and the Federal Reserve. This potentially opens the door for cheaper, faster, but also largely untested property valuations that are based on computer algorithms. The proposed plan would increase to $400,000 from $250,000 the value of homes that can be bought and sold without a tape-measure-toting appraiser visiting the property. More than two-thirds of U.S. homes sell for $400,000 or less, according to U.S. Census data and NAR. Had this plan been in force last year, about 214,000 additional home sales, or some $68 billion worth, could have been made without an appraisal, according to the proposal. One issue is that automated valuations done by computers are largely unregulated. The 2010 Dodd-Frank financial overhaul required regulators to propose quality-control standards for so-called automated valuation models, or AVMs, but they have yet to do so. The immediate effect of dropping appraisal requirements would be limited because a vast majority of home loans in that range are bought these days by Fannie or Freddie or guaranteed by other federal agencies. Those typically require appraisals regardless of home value. While there is a shortage of human appraisers and at times getting an appraisal can take much longer than we would like, “there’s still no computer that can see, hear, taste, smell and touch,” said an appraiser from Virginia. “Have you ever been in a hoarder’s house?” he added! I’ll end this story as I started it—let’s hope this doesn’t happen. Appraisals are necessary and worth the time and money that they take in order for a buyer to make certain they are getting exactly what they think they are. A new report from the Urban Institute warns that millennials who put off homeownership may be severely curtailing their ability to build wealth over their lifetimes. Purchasing a home at an early age offers a “big bang for their housing buck” concludes the report’s authors. Researchers tracked individuals since 1968 to identify those who reached age 60 between 2003 and 2015 and how homeownership has affected their finances. Of those now in their early 60s, individuals who had purchased their first home between the ages of 25 and 34 had a median housing wealth of $150,000, while those who waited to buy until they were between 35 and 44 had $72,000 less. Those who did not buy until 45 or older had median wealth of at least $100,000 less than those who purchased between the ages of 25 to 24, according to the study. Those who bought their home at the youngest ages—before 25—had the second largest amount of equity, at a median of $130,000. Researchers said they likely didn’t have the most equity due to their younger age and because they had lower incomes and less education at that point in their lives. But those who purchased at younger ages still tended to have the largest returns on their initial investment, the report showed. The difference in housing wealth among the age groups is due to home appreciation and paying down their mortgage debt, researchers noted. Half of the older adults in the study’s sample bought their first home between 25 and 34; 27% purchased their first home before age 25. That is much higher than today’s generation. In 2016, 37% of those between the ages of 25 and 34 owned a home, as did 13% between ages 18 and 24. The delay in homeownership for millennials could have long-term economic consequences. Equity is usually the largest single source of personal wealth. “While people make the choice to own or rent that suits them at a given point, maybe more young adults should take into account the long-term consequences of renting when homeownership is an option,” the researchers noted in the report. After not increasing the maximum conforming loan limits on mortgages to be acquired by Fannie and Freddie for 10 years, the Federal Housing Finance Agency has now increased the conforming loan limit for the third straight year. Last week, the FHFA announced that it is increasing the conforming loan limit for Fannie and Freddie mortgages in nearly every part of the U.S. The limits will rise from this year’s total of $453,100 to $484,350 for 2019. That’s an increase of 6.9% from this year’s loan limit to next. It has been my lifelong joy to play such an important role in helping make all your residential dreams come true and I thank each and every one of you for that privilege. I never take it for granted and truly enjoy providing my special brand of customer service to fit each and every individual situation. 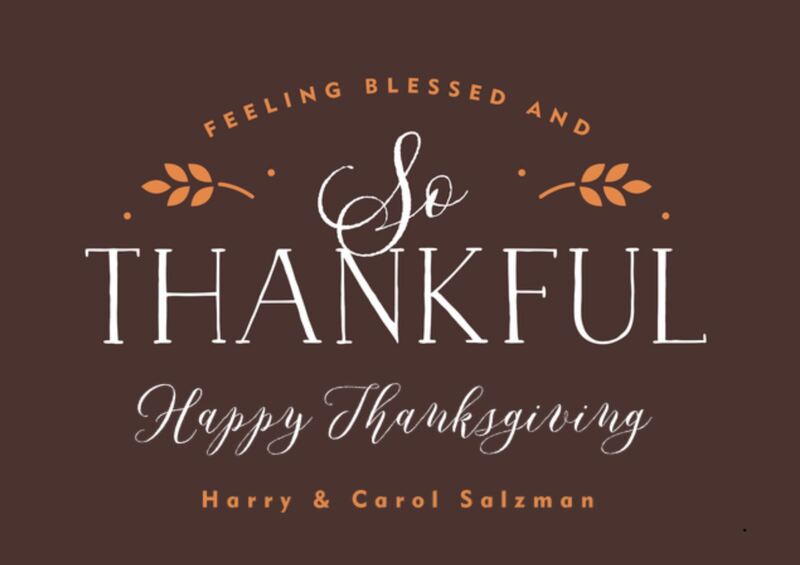 Wishing you a Happy, Safe and Plentiful Thanksgiving.